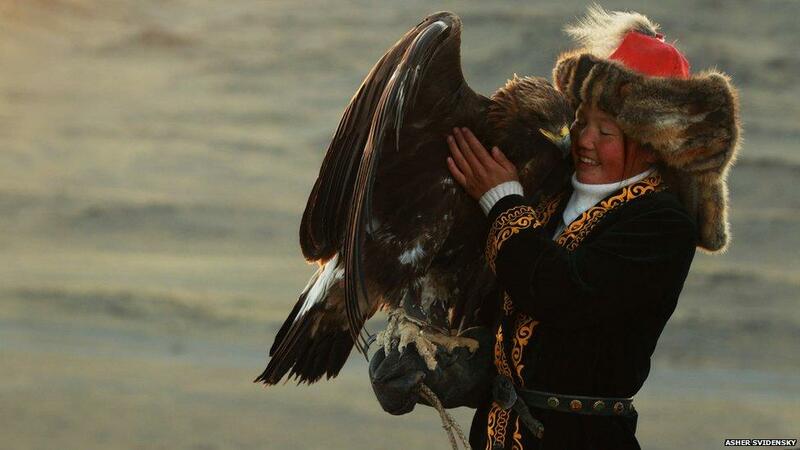 The Eagle Huntress is a documentary about a young girl from northwest Mongolia. During the premier of the documentary at the Sundance Film Festival in January, she was honored by being spiritually adopted into a Native American tribe. For the past 2,000 years, only men have been allowed to participant in the sport of eagle hunting. This all changed when a 13-year-old girl, daughter of a Master Eagle Hunter, broke from tradition and learned the trade of her father. The Eagle Huntress documents the life of a Muslim girl named Aisholpan, filled with underlining themes of trailblazing and female empowerment. Stacey Reiss is one of the producers of the film. Traditionally Reiss says eagle hunting is an ancient art passed on from father to son. In January, Aisholpan and her parents flew to Park City where they attended the premier of the film where a ceremony was held in their honor. Dressed in traditional fur, Aisholpan and her family were greeted by two representatives of the Comanche Tribe of Oklahoma who also brought an eagle. In recognition of the similarities between the Mongolian nomadic tribe and this Native American tribe, Aisholpan was honored with a ceremonial blessing and gifting of a name by Comanche representative Waha Thuweeka. The backdrop for the ceremony was a Native American yurt. Waha Thuweeka created smoke by burning dried juniper on a hot coal. The juniper tree is a symbol of strength for the Comanche people. Her Comanche name translates to Golden Eagle Hunting Woman. "She started this as a child but it's taken her into the realm of womanhood." With the use of an eagle feather, he directed the rising smoke on to Aisholpan and gives her the name. Her Comanche name translates to Golden Eagle Hunting Woman. The whistle being used is made out of a wing bone from an eagle. It’s typical for the hunters to use these whistles while training their eagles. They faced north, east, south and west presenting Aisholpan’s new Comanche name. 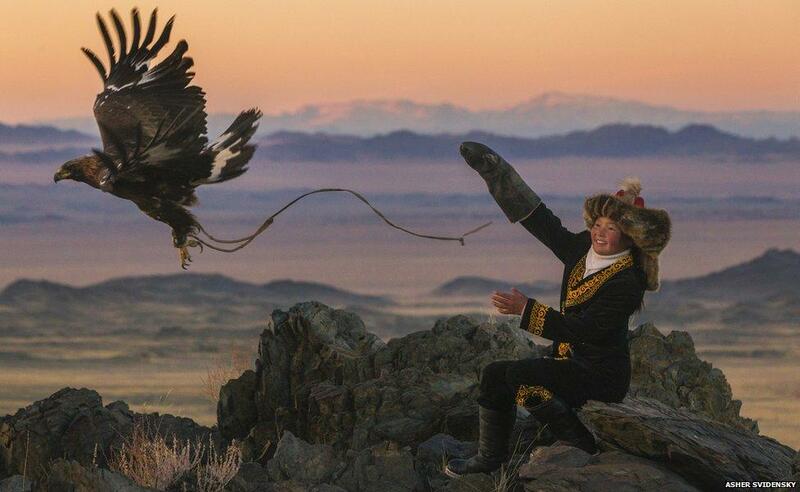 The Eagle Huntress has been picked up by Sony Pictures Classics. There's also talk to turn the documentary into an animated feature with executive producer Daisy Ridley, from Star Wars: The Force Awakens, as the voice of the young heroine. Click here to hear a conversation with the director Otto Bell on Access Utah.